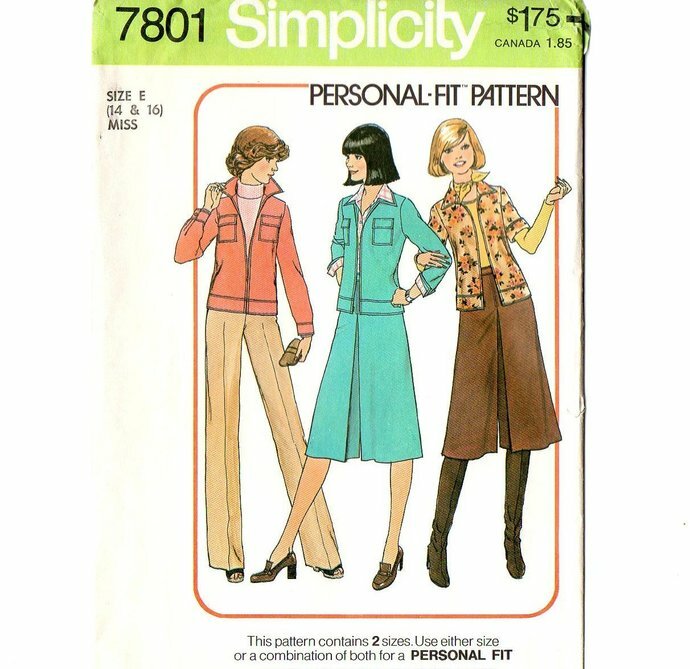 1976 Simplicity 7801 Vintage Sewing Pattern. 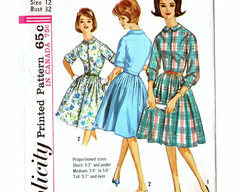 Misses' Unlined Jacket And Pantskirt: Top-stitched hacket with long or short set-in sleeves has front zipper, collar, back yoke and lower band. 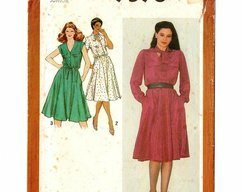 Jacket with long sleeves has cuffs and pockets with flaps. 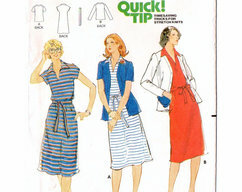 Short sleeves have turn back cuffs. 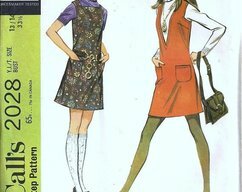 Top-stitched pantskirt with inverted pleats has side zipper and waistband.